Are you looking to take the plunge and cut your cable TV service? Great. This is the guide you need to read right now in order to get going with Pluto TV. For a lot of people on the internet, the main goal of being on the web for a ton of hours is to cut the cord. That means to drop the cable. And drop the satellite TV. We don’t fault anyone for such thinking because our research shows that it can indeed lead to massive savings. The first option that comes into the mind of most modern cord cutters is Netflix. So a lot of people leave their cable TV service and subscribe to Netflix. We’re not saying such an approach would never work. However, once you (or anyone else) have subscribed to all the online services that you would require to stream all of your favorite movies and TV shows, you may actually have to pay more or less the same amount of money which you would pay to your cable service. So if decreasing your cable bill was the goal, subscribing to a service like Netflix is likely to ruin it. Of course, the internet now provides you with a ton of methods to save and skimp. The first option that we want you to think about is Pluto TV. This streaming service, our research shows, provides users with a fairly enticing collection of 100+ decent channels. Not only that, this service backs up those channels with hundreds and thousands of TV shows and movies. So if you like to take advantage of a streaming service that gives you the sweet sweet deal of zero subscription fee then Pluto TV is right up your alley. You can thank online services such as Pluto TV for powering WatchFree service from Vizio. Moreover, we also believe that the popularity of Pluto TV is going to increase even further in the very near future. So what is the catch here then? Well, when it comes to Pluto TV, there is no catch in the strictest sense of the word. However, we are not going to deny the fact that Pluto TV is different from almost all the traditional live TV sources in a good number of ways. To find out more about those differences you need to fight and read on. Only after reading all the subsequent sections should you think about canceling your cable subscription. You have arrived. Let’s get to watching stuff. The only thing you need to know about Pluto TV is that it is a streaming service. More specifically a live-TV online streaming service. We would have no problems in comparing this Pluto TV service with another streaming service by the name of Sling TV. Now that we have mentioned Sling TV, perhaps we should take this opportunity to mention its competitors as well. Other online Live TV services. However, Pluto TV is different from all such streaming services. 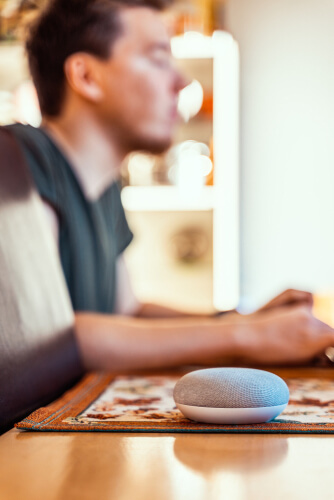 Most online services provide users with streaming access to a multiple number of channels that users would normally find only on cable TV. Pluto TV does that as well but its content is free. And it is not even its own content in the technical sense. The free content that Pluto TV provides to its users is primarily curated from online sources that are already available to users. If we take this feature into respect only then perhaps Pluto TV is most similar to a streaming service by the name of Rabbit TV. The only difference between Rabbit TV and Pluto TV is that Rabbit TV costs users around $24 per year. The company behind Pluto TV launched the service in full flow back in 2014. Because of the model that this service worked with, Pluto TV had no trouble in picking up steam and becoming popular very quickly. As mentioned just now, with Pluto TV you can expect to see content from many channels that you will almost certainly recognize at first sight. Apart from that, you will also come across those channels that you have never heard of before in your life. However, if you are one of those users who watch a lot of online videos then Pluto TV will have even more recognizable channels. 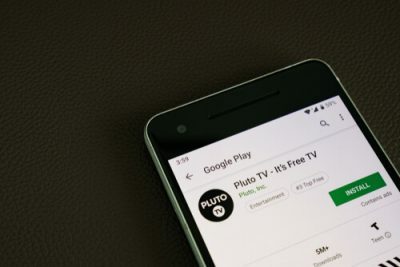 Users who already have spent some money subscribing to an online live TV streaming app or service will find that Pluto TV will still be useful to them because of the layout that it uses for its curated content. Of course, we know that different users have different preferences, so there is no guarantee that you will like the layout and general user interface of the official Pluto TV application. In other words, how are these two streaming services different from each other? Basically, when you look into it with a bit more focus, you find that WatchFree is pretty much Pluto TV. In fact, it is Pluto TV. WatchFree has the added advantage of being included with official Vizio TV sets right out of the box. Moreover, WatchFree is slightly different from Pluto TV in the sense that its app behaves a bit differently on other devices. If you have a TV from Vizio then the official WatchFree service actually shows up as nothing but an input. This is similar to how your cable box would work. Popular cable boxes in the market today include the likes of Apple TV and/or Roku. This is also similar to how a console streams content for users. As for the programming, that is pretty much same to what one would find on Pluto TV. Pluto TV actually powers the service that we know as WatchFree. If you do not take into account the name of the service, WatchFree, and also neglect the very few other differences specific only to Vizio in the user interface, then the majority of the content that we will provide you here in subsequent sections is also applicable to WatchFree. What channels are available with Pluto TV? If you look through the official Pluto TV guide, you will find that this streaming service actually separates the channels it provides to users into small groups. The majority of what you will find on Pluto TV is not something that you will find on standard cable TV channels. But we should mention that some of those standard channels will have some representation due to the fact that they also have free web streaming services. This is especially true for various popular news outlets. A ton of other ones not as well-known but equally good. Pluto TV shuns the conventional path when it comes to sports content. We mean that if you are using Pluto TV to watch online content for free then know that it would not give you Sports channels such as ESPN. Do not expect to find such channels on Pluto Tv. Instead of expecting that, perhaps what you should expect are choices. There is also a dedicated and premium Sports News network. Let’s also not forget the big Sky Network as well. Coming to the Entertainment category, and users can expect reruns of various reality TV shows (the majority of which are absolute garbage irrespective of whether Pluto TV shows them or not) and documentaries. In the same category, users can also find other famous shows from times when you were not on this planet. In other words, old shows which were famous in their day. Among the older TV series you will also find various channels offering other kinds of shows which are known as game shows. These game shows have different iterations for different regions so make sure you watch the ones that are meant for your country if that is possible. Pluto TV also offers a Curiosity section. What does this section feature? As you can probably see, there are some hyper-focused TV networks. And this is the course that you can expect to consume with Pluto TV. Pluto TV also features a Stand-Up section. This Stand UP section, as you can probably tell, is a channel that is dedicated to only the stuff that comes out of stand-up comedy. There is no doubt about the fact that over 95 percent of stand-up comedy is outright garbage and even offensive. But it is on you to find the 5 percent which is not only great but also good for mental health. Anime All Day (again, over 95 percent of anime shows are garbage and even detrimental to one’s emotional balance. But it is on you to find the 5 percent anime which are actually decent and even thought-provoking provided you can get past their annoying musical themes in the beginning and ending of every episode). Another channel that is dedicated to content that one would categorize only as FAILS. There are some other similar sounding channels as well. The one that we recommend is Slow TV. This channel shows users relaxing imagery that they can see to, of course, relax. Another channel is called Cats 24/7. We hope we do not need to tell you what you will find on that channel. Pluto TV also makes available a good number of internet/online radio stations. These are provided to Pluto TV users courtesy of Dash Radio. Dash Radio, has some decent categories which makes it different from typical radio stations. The one category that we like is the Talk category. Dash Radio can also be had as an online stand-alone radio service. 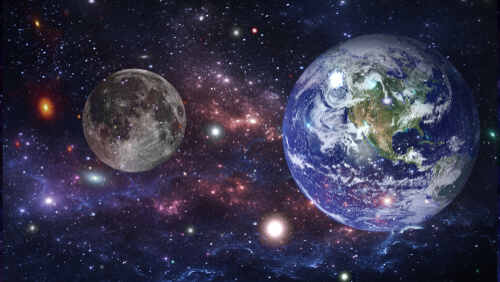 We feel that there is actually a 100 percent chance that if you are reading this you probably have, at least, one internet-enabled device that has the capability to stream content from Pluto TV. You own it and thus you are free to use it however you want it. We want you to think of Pluto TV as a service that you can stream even via your web browser. However, Pluto TV, as mentioned before, also offers users desktop applications for both the Mac and Windows machines. 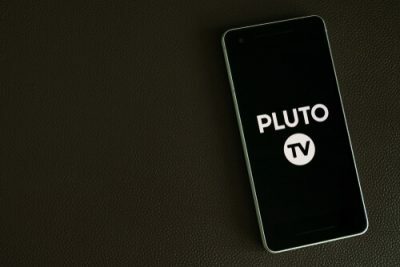 Though we should also mention here that the mobile apps of Pluto TV only work if you are in the US. Currently, Pluto TV offers its mobile apps to US users who are either on the Android or the iOS platform. Pluto TV has a separate international version as well. So you have a US version and an international Pluto TV version. The International version of Pluto TV exists because Pluto TV has to take care of the offers that different channels have for users. Moreover, it also has to take care of streaming rights that may be present. All of the streaming devices that we have mentioned above offer official Pluto TV apps. Apart from supporting these TV sets, the company actually mentions on its official website that it is in the process of adding more manufacturers on the list of supported Smart TV sets. Our research shows that no matter which Pluto TV app you use and on what platform, all will give you pretty much the same user interface. Not only that, you will have to spend a bit of time to find any significant difference between different platforms. There is one exception to what we have said in the sentence above. And we will discuss that in the section that is coming below. Does Pluto TV offer on-demand content? Let’s answer that in as educated a way as possible. The first thing you should know is that Pluto TV does have an on-demand feature. However, Pluto TV offers that feature while heavily leaning on content that we know as movies. Our research shows that there a few number of off-brand television shows available as well. However, again, the vast majority of the content that you are likely to find in the on-demand category is related to nothing but movies. As for the content itself, its availability and type depend on the time. In other words, Pluto TV changes its content that is made available to users on a frequent basis. Pluto TV does promise users some of the biggest hits that come out each given week if that is worth something to you. Now, we would like to mention that while it is true that the company itself shows users a small good amount of movies, the section for movies is not always updated to its latest version. The other problem with an ever-rotating content selection policy is that it makes it very hard for users, if not impossible, to predict what is coming next. Moreover, since Pluto TV does not have Ivy League software engineers working behind the scenes, the content that it suggests it not even remotely on part with the likes of online streaming services such as Amazon Prime Video or Netflix. So don’t let your imagination stretch on such stuff. Pluto TV is not another Netflix or Amazon Prime Video. With that said, it is also true that the company behind Pluto TV is making big deals behind the scenes to haul in some of the bigger content-producing names in the market today. As an example, just recently Pluto TV managed to strike a distribution deal with a company that we know as Sony. Click here if you do not believe that. Because of that deal, Pluto TV managed to stream content from shows such as Starship Troopers (we’re not saying that you should watch Starship Troopers). One other important point that you need to keep in mind is that Pluto TV does not offer on-demand content on each and every single platform that it supports. The content may not be available or it may never have come to the service in the first place. Of course, we are not saying that there is a platform out there on which Pluto TV offers nothing. What we are saying is that Pluto TV does not offer all its content on all its supported platforms. Our research shows that you should have no problems in streaming on-demand available movies and TV series via the majority of the platforms that people use to access the internet today. As for PlayStation 4, our research shows that sometimes you will only have access to on-demand movies and nothing else. Pluto TV could fix this problem in the future though. So don’t lose hope if you happen to be the owner of a device that no one has ever seen or heard about. As for the reason why there is less content on PlayStation 4, our research shows that it is probably because Pluto TV just recently added PlayStation 4 in its list of supported platforms and thus may not have been able to offer all its content on it just yet because of technical and policy decisions. In fact, we have even heard that the PlayStation 4 platform sometimes does not show up under the list of supported platforms if one access the official list via the official website. Click here if you want to do that right here and right now. If you just take a step to not long ago, Pluto TV did not even offer any on-demand category on the PlayStation 4 platform. However, this could also happen on various other platforms that Pluto TV has only started to support recently. What is the future of Pluto TV? We can talk from the perspective of what we see at the time of writing this guide. And what we see is that there is nothing to suggest that Pluto TV will be going anywhere any time soon. The thing you need to get into your head about Pluto TV is that it is unlike any previous streaming project. Some previous projects only aimed to provide users with that content for which they would otherwise need only an antenna. As you can imagine, there is not a huge market currently present for the stuff that you can access and stream with the help of an antenna. Such services are bound to vanish. One such service that comes to find is Aereo. But that is just an example. Services like Pluto TV have advertising to rely on. It also has deals with the likes of Sony and Vizio. Pluto TV is not going to cost you anything and will give you a decent breadth of reasonable programming. We would say there is a high chance that you might end up liking Pluto TV.